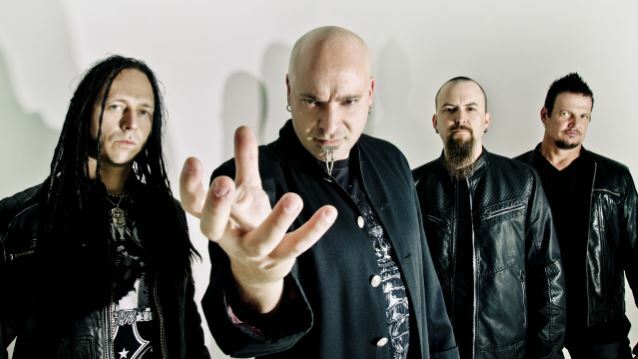 MetalRockNews: Disturbed's David Draiman apologizes to fan humiliated for texting during show: "I feel badly about it"
Disturbed's David Draiman apologizes to fan humiliated for texting during show: "I feel badly about it"
Disturbed's David Draiman was recently interviewed by Loudwire, you can read some excerpts below. Draiman has apologized to the fan that he called out for texting during the band's show in Dallas on March 23. He said: "You know, when I did what I did, it wasn't me trying to push her away," he explained. "It was a matter of me trying to engage her,” said the singer. "It's what I've done for years and in most circumstances if there is someone who is being passive. They respond positively, 'Oh, he acknowledged me. He's really watching. I will get into it and he's actually paying attention to me,' and they become more involved. It's very unfortunate that it backfired obviously with her." He continued: "I wasn't privy to the information of what she had going on and when I made my original Facebook post that information had not yet come out. I feel badly about it and I am sorry. I can only say at this particular point that I think that that tactic may be something that I from here on out remove from my live repertoire because obviously there is the chance of me making that scenario happen again if I don't have the information that would keep me from making that mistake." Draiman added: "So again, I feel badly about it and I am sorry. I never want anyone to leave one of our shows feeling badly. The whole idea is to pull them and to make them feel empowered and sometimes you've got to be a little forceful when you do that and if she got rubbed the wrong way, that is something that I regret."